As couples consider getting help from one of our couple’s therapists of Houston’s Grief Recovery Center, one of the most significant concerns on their minds is whether the counseling can actually help their relationship and strengthen it. Whether a couple is struggling with infidelity, learning how to manage a blended family, or directly just to enhance their communication skills, they all have the same anxieties of whether their problems can be solved. Here, at Grief Recovery Center, our couples counseling specialists can all agree that although your situation is unique to you and your partner, our experience can help you through most of the struggles you are going through. One of the few things that help our couples feel more at ease with getting professional help to strengthen their relationships or marriage is to learn of what they can expect during the counseling sessions. Often times, these guidelines help a couple make more of a personal commitment. They are more likely to invest more time and patience to learn to trust their counselor as well as each other so that they can get the most out of their sessions. Here are 5 ways you can expect couples’ therapy to strengthen your relationship. Several factors shape challenges for couples, but the most prominent would probably be miscommunication or misunderstandings. 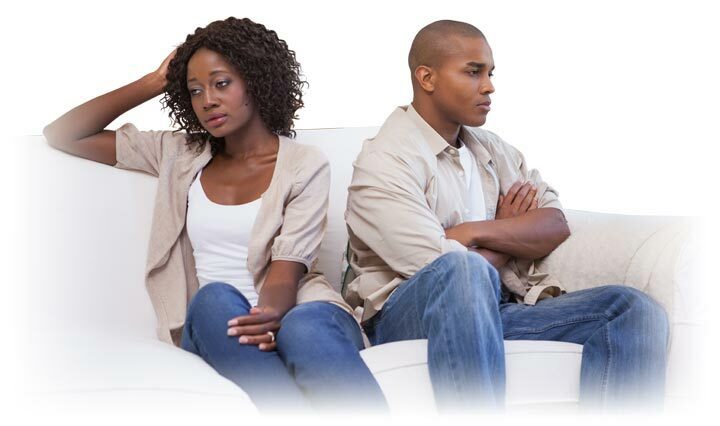 Relationship dynamics are unique to each pair, but when arguments or disagreements arise, it’s usually caused by a breakdown in communication. When partners have a hard time expressing their emotions, frustrations, goals, and thoughts, our couple’s therapists are there to help guide the conversation so that both parties can begin to talk again with more in-depth understanding. It can be challenging to move past a challenge together if you have yet to develop a deeper mutual understanding with your partner. An experienced counselor is there help you through that by asking non-judgemental questions and facilitating a safe environment for you and your partner to learn new things about your relationship that you never understood before. This deeper understanding, in turn, will help you develop better solutions for any problems you are experiencing versus having difficulties figuring out what is the issue in the first place. Many, but not all, romantic or marriage relationships have a solid foundation to which it is held up by. Hence, when an act of unfaithfulness occurs, all may seem to crumble down. A licensed couple’s counselor can help you, and your spouse mitigates the situation where infidelity has occurred. Couples who realize that they cannot resolve the aftermath of an affair alone, often find that a couple’s therapist can give them insight and accurate guidance as to what the next steps may be. They often feel alone and shocked as to what happened, but a therapist can help them realize that there is hope if they stay committed to the hard work that is ahead of them. If the couple wants to move past the situation they are in, strategies to improve communications and rebuild a broken foundation will be immediately implemented as a part of their therapy session. As trust is what is broken after an affair, the sessions will be long-term because it takes time to heal and regain confidence. Our couple’s therapists has one goal, and that is to help couples, over time, learn new skills to rebuild a broken relationship that can become stronger and healthier in the future. As years go by, many couples find themselves growing apart rather than growing together. As such, many breakups and divorces occur when couples are not willing to work with the changes and overcome them. A lot of these “changes” are not necessarily changes, they may be problems that were undealt with for years and only surfaced recently where it’s become a large enough of a challenge to cause a disruption in the relationship. Often, it has to do with having different values and beliefs about life; whether that be the way you raise kids, religious beliefs, financial priorities, and etc. Changes are to be expected in any relationships, people grow, and the differences can either strengthen a relationship dynamic, or it can destroy it. It really depends on whether the couple wants to make it work and decide to stay committed or not. With our counselors at the Houston Grief Recovery Center, couples will learn that their differences can be a blessing if they learned how to complement each other with strategies to improve their relationship. The couple will get assistance in figuring out who they authentically are and how the changes can evolve. Ultimately, the couple will have a chance to discover what works best for them moving forward. There are responsibilities and boundaries to relationships that many couples are unaware of when they seek help from our couples’ counselors. The goal of the counselor, then, is to help the couple assess the relationship, its current state, as well as the previous history of problems and challenges. Our counselors may go as far as exploring relationship dynamics within the couple’s family trees. All of these factors may come into play when it comes to establishing boundaries and figuring out the responsibilities of each individual within a relationship. Other areas explored may include personal and relationship goals that may have been neglected over the length of a relationship and how those expectations could have impacted the current state of the relationship. Overall, all factors will be discussed to form a better partnership in the long-run. Our couple’s therapist will not only try to help with encouraging healthier communications, but they dig deeper into assisting a couple in manage their behaviors and actions towards each other. A toxic relationship that can be harmful to either individual will be prudently evaluated in cases where there may be risks of abuse or violence. Recommendations for individual therapy sessions and other treatments may be brought up to further reparation and healing. The goal is to modify behaviors that can cause emotional, financial, and/or economic harm. Looking for more ways a couple’s therapist of Houston can help you strengthen your relationship? You can contact us at the Grief Recovery Center for more info today. Grief Recovery Center is a private outpatient mental health counseling practice located in Houston, Texas. We are a team of licensed therapists dedicated to providing confidential counseling and compassionate care. We serve all ages, provide counseling and The Grief Recovery® Program. DISCLAIMER of Asma Rehman and MH Sub I, LLC as hosting company dba TherapySites. Asma Rehman and TherapySites expressly disclaim all warranties and responsibilities of any kind, whether express or implied, for the accuracy or reliability of the content of any information contained in this site, and for the suitability, results, effectiveness or fitness for any particular purpose of the content. You are solely responsible for your use or reliance on such information and any foreseeable or unforeseeable consequences arising out of such use or reliance. In no event will Asma Rehman or TherapySites be liable for any damages resulting from the use of or inability to use, the content, whether based on warranty, contract, tort or other legal theory, and whether or not Asma Rehman or TherapySites is advised of the possibility of such damages. In no event will Asma Rehman’s and TherapySites’s aggregate liability exceed U.S. $100.